​Sow and pill bugs can cause damage in an organic vegetable garden. The presence of large numbers of these pests may require pest control. ​Sow bugs and pill bugs are curious little creatures of the garden. 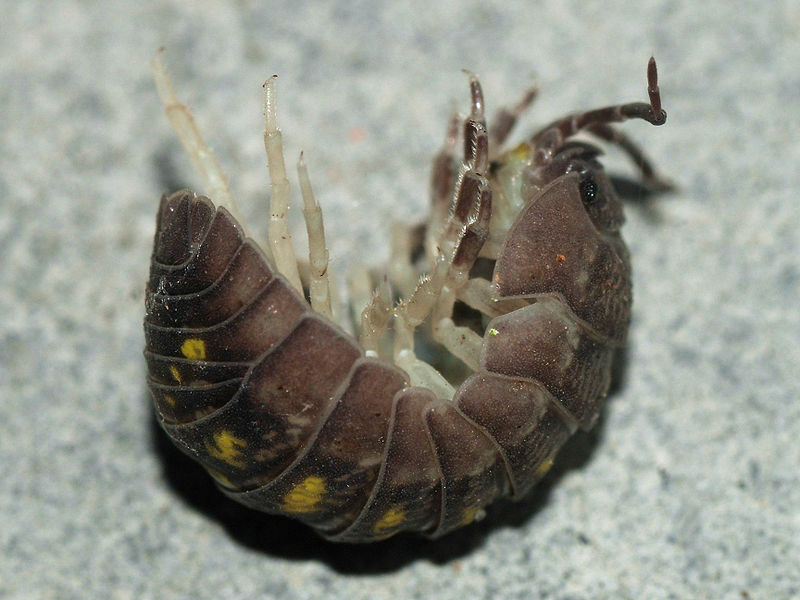 Children call them roly-polys and like to poke the pill bugs so that they roll up into tight little balls. Most people find sow and pill bugs to be harmless. This is true when they are few in numbers, but sometimes they over breed and become true garden pests. Sow and pill bugs are closely related and at first glance look pretty much the same. The way to tell them apart is that pill bugs can roll up fully into a ball. Sow bugs do not roll up as tightly. The bugs have tight segmented shells and multiple legs that can be seen scurrying along. Both kinds are true crustaceans, related to shrimps. Sow and pill bugs, though they need constant moisture, live solely on land. The vegetables in a garden are probably not the origin of a sow bug infestation. It’s more likely that garden mulch is the source of the insect nursery. The bugs thrive in old dead leaves and tend to live under garden mulch and waste. Within the mulch, sow bugs eat dead, dying, or decayed vegetation. They need the moisture that the mulch holds. A vegetable garden may attract sow bugs, especially if it is mulched. The sow bugs like the moist garden environment. Let’s face it, insects eat their share of the bounty of gardens. There are some people who feel that sow bugs are not the culprits that actually do the damage. They claim that other insects nibble the leaves and sow bugs move in later to clean up. This is not always the case in a vegetable garden. In the vegetable garden, early spring crops such as lettuce and radishes are the first targets. Sow bugs are quite often found among tender lettuce leaves. They thrive in the shady moist environment. A radish patch also makes a welcoming hang out for sow bugs. The bugs crawl up the leaves and make little round nibbles into the top of the radishes just below the soil line. They are also known to take a bite or two out of ripening strawberries. Sow bugs tend to eat only the soft tender parts of plants and generally leave established plants alone. Later in the growing season, sow bugs are not the ones that are eating the plants. Snails, slugs, beetles, and many other insects share in the feast of the garden. Vegetable gardeners can control the sow and pill bugs with organic diatomaceous earth. By keeping their numbers low, sow bugs will not create much damage. The secret is in understanding these roly-polys and maintaining garden pest control. ​Vegetable gardeners can control the sow and pill bugs with organic diatomaceous earth. By keeping their numbers low, sow bugs will not create much damage. The secret is in understanding these roly-polys and maintaining organic garden pest control. Read more articles about natural pest control, organic gardens, and a greener environment. Have a response to this SimpleTens article about Sow Bug Pests? ​Add your Comments or Questions HERE.